Description: Pholisma arenarium is a fleshy perennial herb taking a compact cylindrical or ovate shape often with part of the stem below the sandy surface. As a heterotroph which derives its nutrients from other plants, it lacks chlorophyll and is brownish-gray or whitish in color. 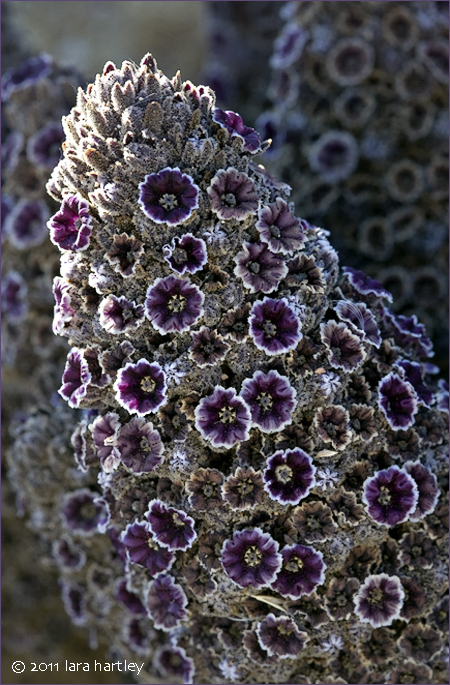 Flowers emerge between the leaves, each roughly one centimeter wide, the rounded corolla is lavender to deep or bright purple with a white margin. Leaf: There are whitish-brown hairy, glandular, pointed leaves along the surface of the plant. 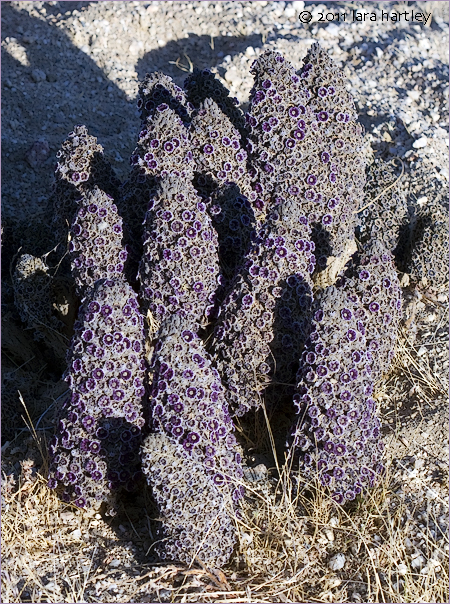 Notes: Pholisma arenarium is a parasitic plant growing on the roots of various shrubs such as burrobush, Yerba Santa, California croton, rabbitbrush, and ragweeds. This photo was taken on June 1, 2011 in Inyokern, Kern County, California. Pholisma arenarium is a dicot that is native to California and is also found outside of California, but is confined to western North America.